So who are Serve On? We are a charitable organisation, group of 90 (and growing) volunteers who provide help to our local and international communities during times of crisis. We have three main areas- International Disaster Response Team (IRT), Community Resilience Teams (CRT) and the dog rescue team. Here's a nice little video that sums it up. In the last 18 months Serve On has helped communities in the UK, Nepal and Haiti. Serve On deployed to Yorkshire and Cumbria in 2016 to help flood victims and also deployed to Nepal 36 hours after the earthquake struck in 2015. More recently we deployed to Haiti after the hurricane hit to support the relief effort. With these and many other achievements, we are delighted to announce the launch of a new development initiative, 5x5 and you can be part of it. We want to grow the Search, Rescue and Community Resilience work we do and positively impact more people than ever before. The Serve On ‘5x5 Appeal’ aims to attract funding and support of at least £1 million. 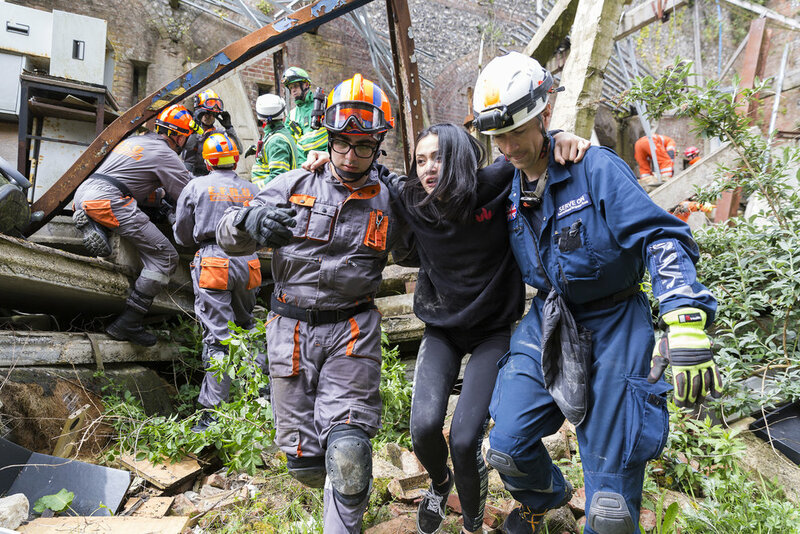 We aim to build 5 new Community Resilience Teams in the next 5 years and we aim to have the resources (people, money, equipment) necessary for up to five deployments to major disaster events in the UK and internationally each year. We are a small charity but with your help we can have a massive impact. We are mainly staffed by volunteers and our aim is to ensure as much as possible of all contributions go to delivery and not a corporate overhead.